Dyspraxia is a disorder associated with the area of motor skill development. Dyspraxia is a life-long condition that occurs in about two percent of the general population. About 70 percent of dyspraxia sufferers are male. It is very possible that those with this disorder will learn to succeed and function independently. 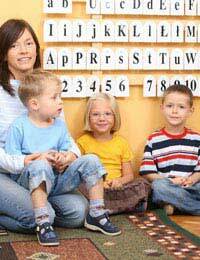 But it is important that they be provided with alternate learning methods that include repeated practice. Successful advancement will also require physical and speech therapy. Dyspraxia means that movement and coordination are affected. The main problem is that messages from the brain are not being reliably transmitted to the body. So in reality, dyspraxia does not directly change intelligence. It does, however, affect learning ability. So in this way, dyspraxia does create a "learning disability." The condition can lead to a full spectrum of problems with language, perception and thought. Surprisingly, there is no known cause for dyspraxia in the majority of cases. The most up-to-date research indicates that the problem may lie with immature neuron development in the brain. This possibility runs counter to earlier belief that it was related to brain damage. No specific neurological abnormality has been found that would explain the presence of dyspraxia. The number of children with dyspraxia is believed to represent anywhere from two to ten percent of the population. The first symptoms of dyspraxia become evident when physical milestones are not reached at expected times. For example, most children learn to roll over, sit, crawl, stand and walk within a range of certain ages. Children with dyspraxia often do not reach these milestones when expected (and may not reach them at all). Physical movements are difficult in a variety of ways. Dyspraxia appears to hinder thought processes as well. Individuals with this condition have trouble planning and organising their thoughts. They are often unable to understand logic or reason. Many of the learning disabilities that children with dyspraxia face are linked with embarrassment related to their physical disability. School age children with this disorder suffer from poor coordination, which limits their ability to participate in sports. They often have immature speech that is both slow and difficult to understand. Even the most basic school age skills are difficult to master. Printing, playing ball, tying shoes, even assembling puzzles are all activities that seem to highlight their dyspraxia. Instead of progress and accomplishment, these tasks that are so easy for others are quite upsetting for the child with dyspraxia. This leads to social awkwardness and a growing unwillingness to even attempt any sort of social interaction. Students with dyspraxia can be included in mainstream school situations. However, they will perform best when taught in one-to-one situations. Most children with this disorder try to avoid joining in with others, so group activities and situations will need to be handled with care. To the child with dyspraxia, all stimuli deserve a reaction without discrimination. Attention span is very poor. It is critical for parents and teachers to share information and work collaboratively to deliver appropriate education services to the child with dyspraxia. Parents will be able to report on situations at home which are difficult for their child. In the same way, teachers can observe a child's progress and compare it to other children in the class. Together, they can structure a way of teaching that will allow the child with dyspraxia to achieve their full potential. @Jenn My daughter was found to have a choroid plexus cyst, too and we were told the same thing. I believed them but now I'm wondering. Re: dyspraxia. My son has this condition. In an early pregnancy scan they found chloric plexus cysts but on a layer one, no apparent cysts, could this be a link to his problems and/or dyspraxia? To Justice - As you have said that your daughter has had a report by an ED Psych who has recommended extra time for exams, then all schools, colleges, universities, and any education centres will have to comply. If the don't they will be going against legislation (Disability Discrimination Act), as the school is discriminating against your daughters difficulties. I had the same problems when i was at school and was very stressful. Im 26 now and had to return to education to persure my career dreams, but i tell you ive still face the same things now and ive had to write some seriously disgusting letters of complaint. I realise you have written this comment a while ago, but this applys for all who have learning disabilities and dificulties through out our lives. To nana - don't feel uset or embarrassed, you can no way not help it. I have dyslexia and dyspraxia and had the same feelings as you growing up as I had no support throughout my school life. I have grown to embrace my difficulties as they are apart of who I am and they are not going anywhere. So chin up :) P.s both me and my best friend have dyspraxia, and have a great laugh when we decide to go out on the town, even to bet which one of us will end up wrapped around a lamppost lol. If you are dyspraxic do you qualify for extra time to write GCSE exams?My daughter has had an Ed Psych report done which states she needs an extra 25% of time to write her exams but the school will not support this as it says she is bright so will pass regardless.My daughter gets so stressed about exams and never finishes a paper. (She is Twice Exceptional)She burns out so quickly with the stress and frustration of trying to write the papers.What can I do as she clearly does need more time?Is it usual for children with dyspraxia to automatically be given more time to write exams? as a child i was always getting in trouble both at home and at school. i especially never liked going to school as i thought i was not bright and felt embarrassed about this. i could never ride a bike, when i tried to tie my shoes laces i would have to do it several times before it was able to keep. i loved rope jumping , but could never do it properly by the time i was finished my legs would hurt and i would be out of breath. when trying to learn to swim i would put in so much effort trying to move, but to reliased that i was going nowhere. these and many more symptoms that i since became aware of since being diagnosed affected me. since being diagnosed, there are times when i break down in tears, please dont misunderstand i am glad for the diagnosis its just that when i think about there not being a cure it makes me depressed, especially when you cant find things where you have placed it you then wonder if your memory is going to be deteorated quicker than normal, andso much more. however on the positive side at least there are answers for some of the why questions that i many times asked myself, for example what i said about the difficulties i expressed above. thankfully there is a name for this malfunction,where if i am speaking to someone who might not be familiar with me or my actions or inactionsi can just tell to look up dyspraxia. this means a lot to me as i found it difficult explaining how certain things affected me. more crucially is the fact that previously to me being diagnosed i felt that when i was discussing my symptoms forexample with a doctor or teacher or any one who you might have to explain why or how something is affecting you, i oftentime got the impression that they never believed what i was saying, so diagnosis in this case is a relief for me.